Home > Negotiation > Child maintenance: What am I paying for? Child maintenance is financial support paid from one parent to another to assist with a child's everyday living costs. Child maintenance is by its nature often paid under difficult circumstances, following the end of a relationship. However it is important to remember that it is not designed to punish parents without full time care. It is simply a way to ensure that both parents contribute towards the cost of raising a child; one of the responsibilities of being a parent. How is child maintenance decided? 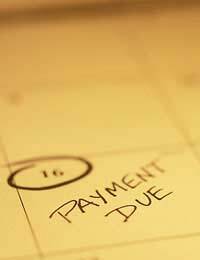 Parents can choose to agree a child maintenance sum and frequency of payment themselves. This is commonly called a 'family-based arrangement'. If the matter is more complex (for example one party lives outside the UK, or the child's living/care expenses are likely to be higher due to significant disability), then either party can apply to the courts. Note: If you apply to the court in respect of child maintenance (and no other issue), legal aid is not available. However if you are considering apply to the court, you can still get free independent legal help from Citizens Advice Bureau. If you have a family-based arrangement, then you can agree any amount between you. If you apply to the Child Maintenance Service, they use a more complex calculation based upon annual gross income and expenses. They have an online calculator which you can use as a guide: www.gov.uk/calculate-your-child-maintenance Note that the Child Maintenance Service will also charge a £20 application fee, a collection fee (if paid to them to pass on), and enforcement charges for delayed payments. What does child maintenance pay for? Child maintenance is designed to pay for a child's needs, for example food, clothing, and housing. It is however a nominal sum - ie the receiver does not have to submit receipts or justify what they spend the money on. It may not be fair. Unfortunately as she doesn't have to justify what the money is spent on, there is little you can do. Social services will only get involved if the child / children are being neglected. If you have part-time overnight care of your child/children, then the amount of child maintenance you pay (if the Child Maintenance Service have calculated it) will be reduced accordingly. For example: John looks after his 2 children overnight 1 night a week. His child maintenance payment sum will therefore be reduced by 1/7th. If you are paying less money due to the overnight care, then it is likely that your ex-partner will expect you to pay for any day-to-day basics that the children may need whilst with you (for example food and nappies). If the is dispute re who pays for what when you have care of the children, perhaps consider mediation to resolve this. If each party's expectations are managed, conflict / arguments are less likely. Yes, you are not obliged to pay anything more than your child maintenance sum. I would however encourage you to consider any requests on a case by case basis. Ultimately the money is to pay for your child and so you may want to pay a little extra on one-off occasions so that your child doesn't go without. If you are worried about your ex just pocketing the money, consider arranging to pay the school direct or giving your ex a cheque made payable to the school so only they can cash it. £150 a month!!! That is disgusting. No wonder she has stopped you seeing your child. Get a better job and support your family properly. CMS payments are unjustly calculated. Of course, payments should be made to the children but should be put into a controlled escrow account and be ring fenced for correct use by the resident parent. The fact that it can be spent on them is the major flaw in the system and should be addressed immediately.Additionally, thenon resident parent is penalised for relationship breakdown and may not even be allowed to see their children even if they go through the charade that is the court system. Society is becoming worse because of the environment we have thanks to the authorities around relationship breakdown and children. Men in particular would be advised to take an early opportunity to have a vasectomy to prevent future pain.